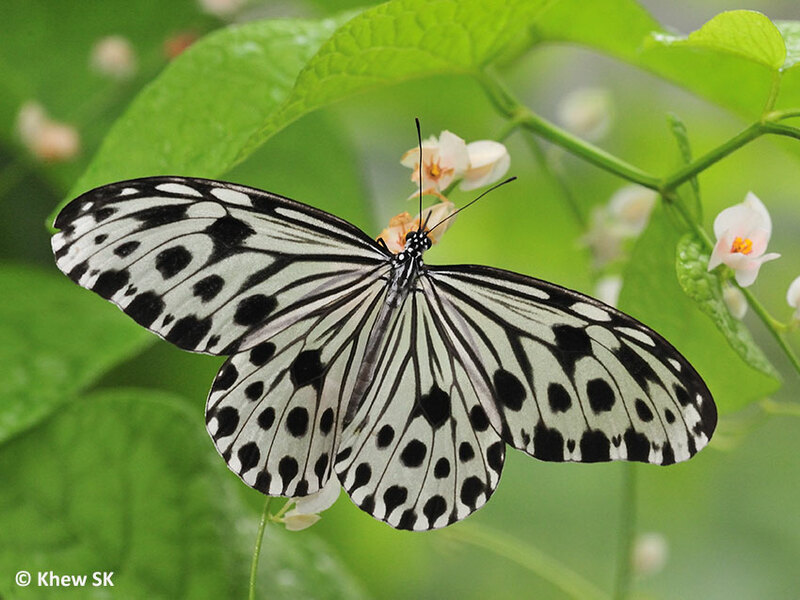 A long time ago, this black-and-white butterfly was recorded in Singapore. Both the reference books by the early authors listed the Smaller Wood Nymph as extant in Singapore. 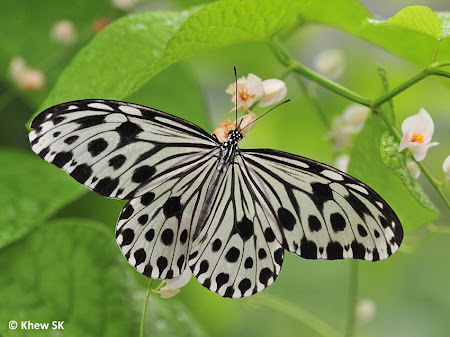 It resembles the much bigger Tree Nymph (Idea stolli logani) which still flies in Singapore today, but is only about half the size and has more rounded hindwings. 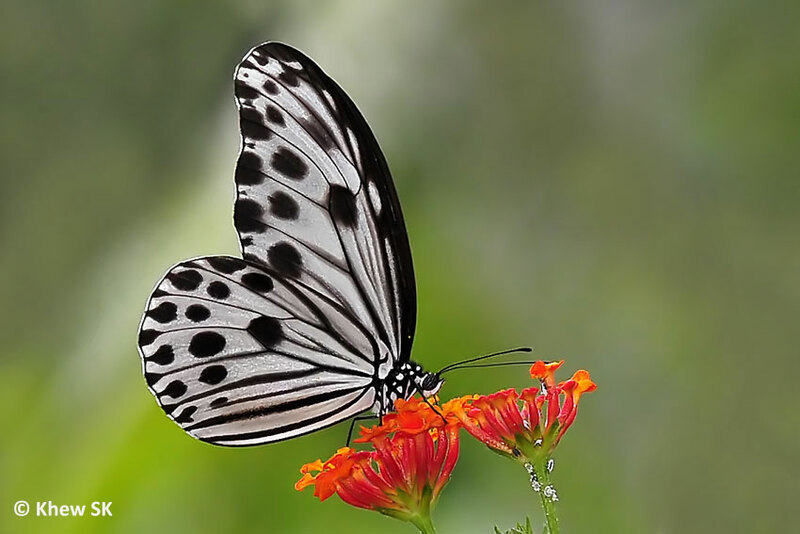 The wings are a pale translucent grey with large black spots. It is more often found in the hill stations, but has also been observed as far south in the peninsula, in the nearby lowland forests in Johor, Malaysia. 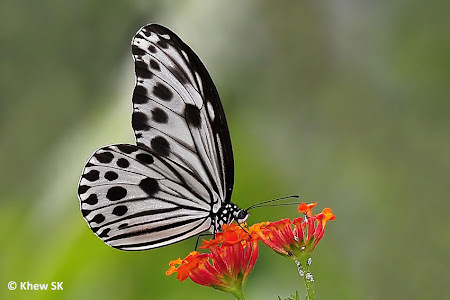 The typical black and white colour is a display of aposematic colouration where it mimics and is mimicked by the Idea species and also the female of the moth Cyclosia pieridoides consistent with Mullerian mimicry. Its host plant is a species of the forest vine, Hoya, and is likely to have alternative host plants even in Singapore. Will it ever return to fly gently, at the mercy of the breeze, in our forests again ? Or will it remain only in our memories and is gone forever from Singapore?